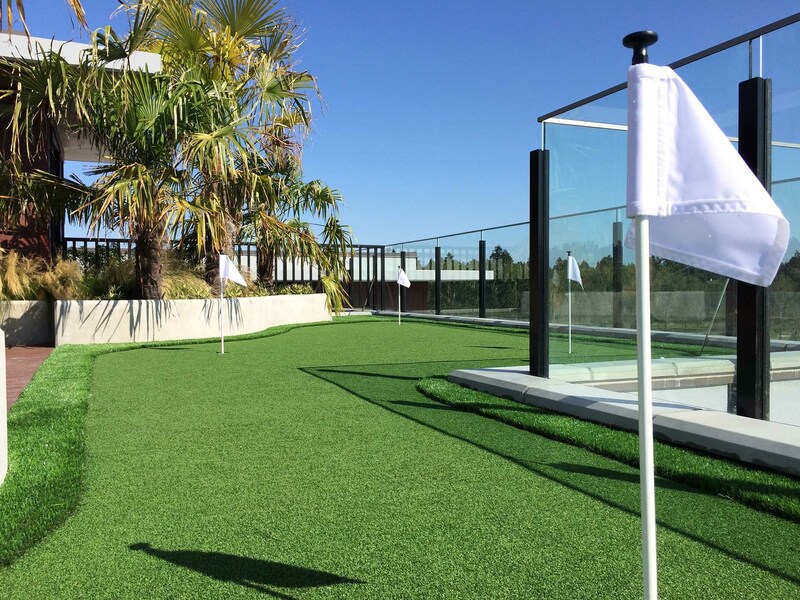 Precision Greens product and Artificial Grass. Golf turf putting green - Curb Design Inc.
A nice shot of artificial grass or fake grass making up a golf putting green within a customer or clients backyard. Also have a few golf putting holes with white flags. Also have glass railing on he sides.